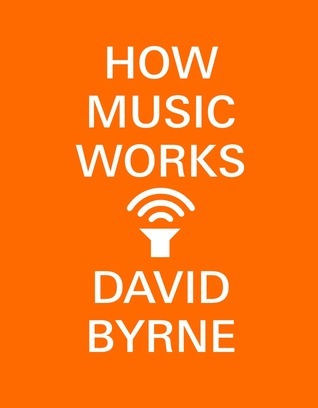 How Music Works is David Byrne's incisive and enthusiastic look at the musical art form, from its very inceptions to the influences that shape it, whether acoustical, economic, social or technological. Utilizing his incomparable career and inspired collaborations with Talking Heads, Brian Eno, and many others, Byrne taps deeply into his lifetime of knowledge to explore the panoptic elements of music, how it shapes the human experience, and reveals the impetus behind how we create, consume, distribute, and enjoy the songs, symphonies, and rhythms that provide the backbeat of life. Byrne's magnum opus uncovers ever-new and thrilling realizations about the redemptive liberation that music brings us all. Sometimes it's the simplest of covers that draw your attention. That was the case with this book for me. Some of you may be familiar with the author's musical career but as someone who is absolutely horrible with names, I was blank when I chose this book. That being said, I'm glad that I did pick it up. While I read it cover to cover, it is written so that each chapter can be read on its own and in any order. 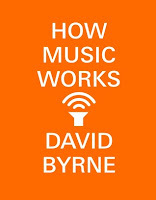 I appreciated how Byrne tied together his own history with music with topical essays that were jam packed full of information. If I had a complaint it's that the book felt a bit heavy at times and I found that this was one where it was better for me to read a chapter a night and come back another night for more. This isn't necessarily a bad thing since this girl needs her beauty sleep! All in all, a very enjoyable read that I'm looking forward to passing on to my musician son to see what he thinks.